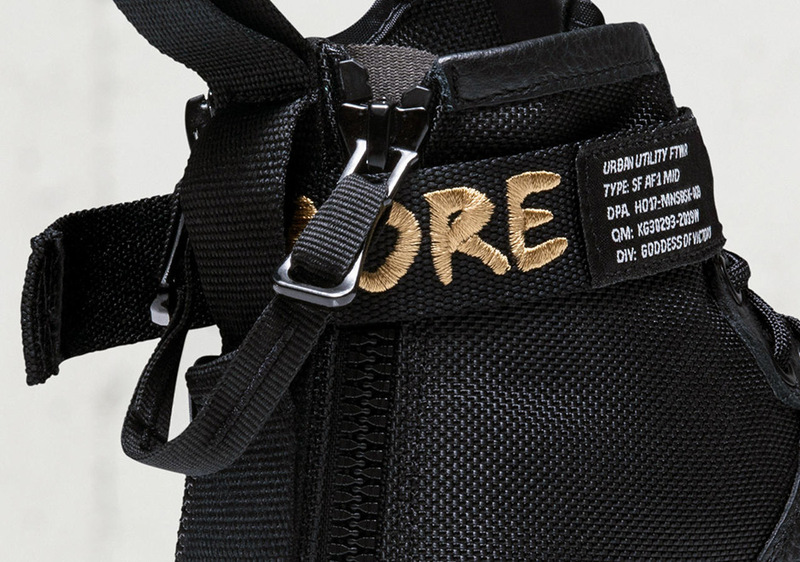 The debate has been going on forever, but Nike put the final stamp on the matter with a sneaker release that pay homage to an influential city in sneaker history. 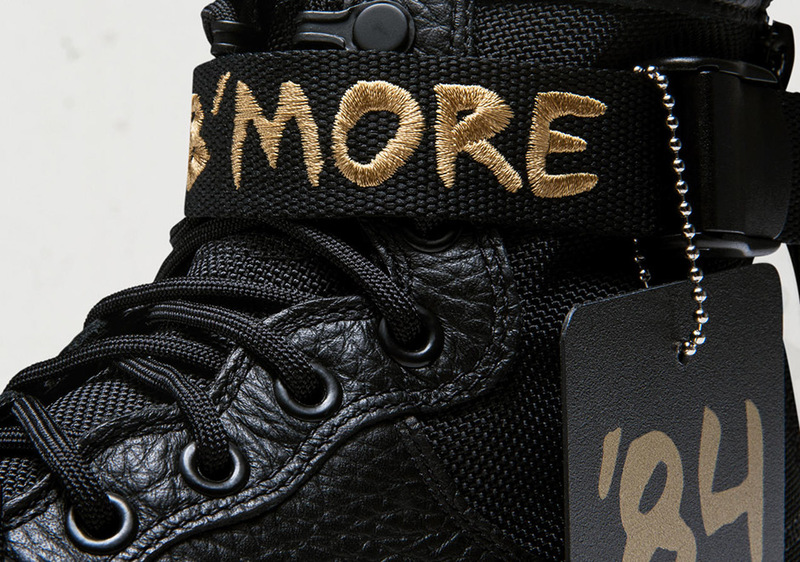 The Nike SF-AF1 Mid “For Baltimore” features a black leather/ballistic nylon upper with a gum sole and “B’MORE” embroidered on the strap. 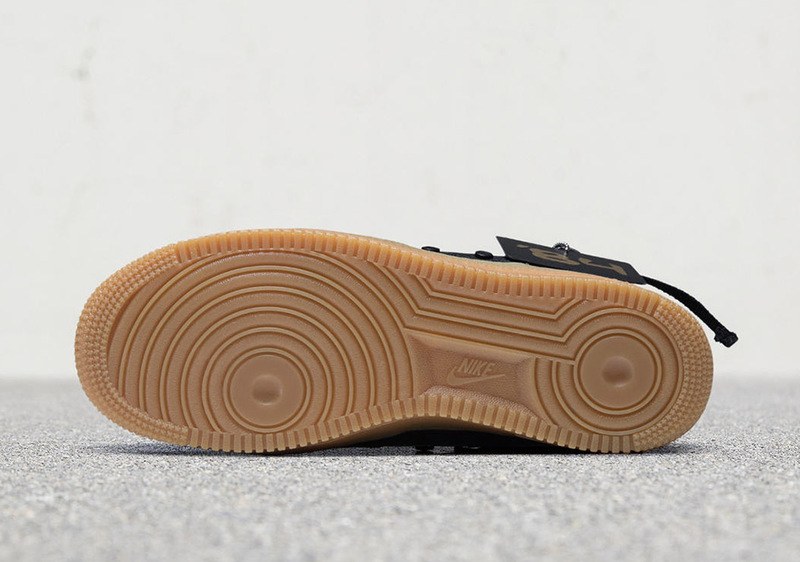 This release honors the city of Baltimore for saving the Air Force 1 from fading out of existence, because in 1984, Nike had plans of discontinuing the shoe until it noticed its mass popularity in the Eastern city. 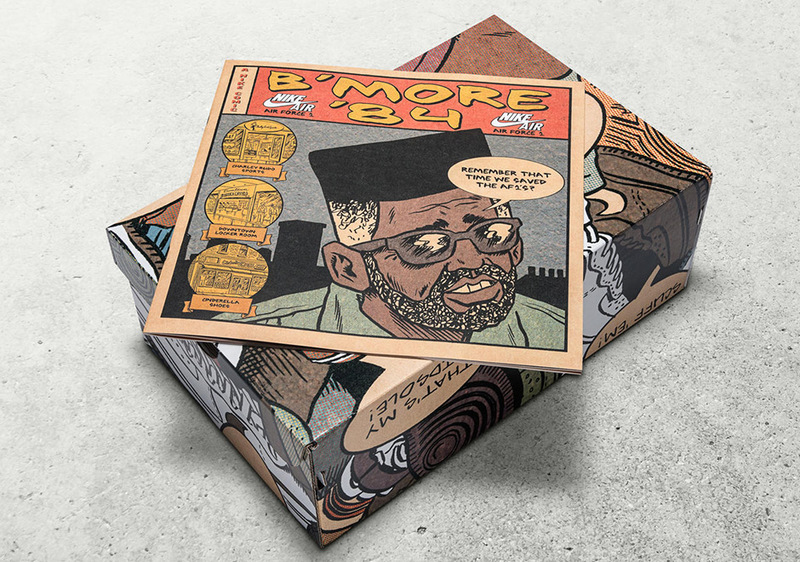 The special shoebox features custom illustrations by Ed Piskor who also created a comic book telling the stories of how the Air Force 1 was saved by the city. 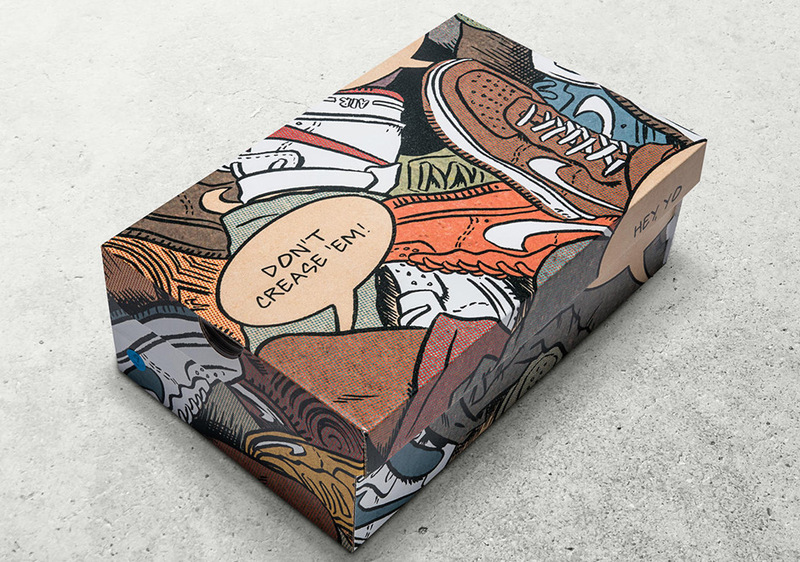 In addition to the sneaker release, Nike has partnered with DTLR and Jubilee Arts on a Baltimore youth arts program that launches in October. A mural by artist Ed Piskor will be featured on the former site of the historic store, Cinderella Shoes, and commemorative plaques will appear at Downtown Locker Room, alongside where Cinderella Shoes and Charley Rudo Sports formerly existed. 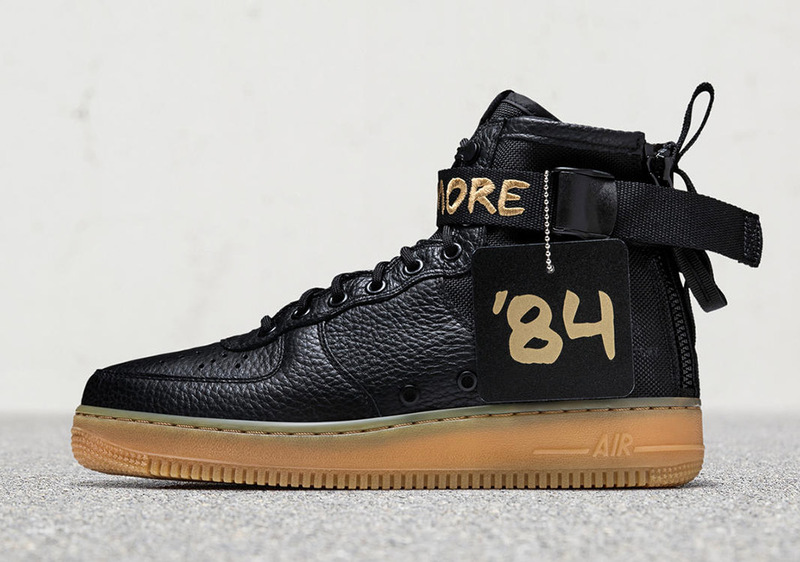 The Nike SF-AF1 Mid “For Baltimore” releases on Saturday, September 30th exclusively at DTLR in Mondawmin Mall and on Monument Street in Baltimore.